Born July 26, 1942, in Pleasant Hill, TN, she was a daughter of the late Aubrey C. Randolph and the late Hattie Jo Wilson Randolph. Doris worked at Potter Children Orphan Home and School for 40 years in Bowling Green, KY and the she was also a Foster Mother to many children for 15 years. 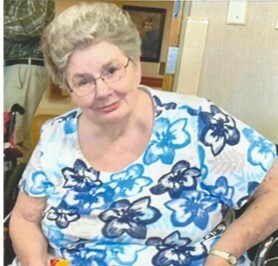 She dedicated her life to serving God and doing his work faithfully everyday of her life, She was the President of NAMI (National Alliance of the Mentally Ill) Bowling Green, KY Chapter. She was preceded in death by parents, husband, Freddie Don Daulton, brother, Wayne Randolph, sister, Margaret Gray and step-mother, Mary Jo Randolph. Family will accept visitors on Friday November 16, 2018 in the chapel of Thurman Funeral home from 5:00 PM to 9:00 PM. Service will begin at 10:00 A.M. Saturday, November 17, 2018 at Thurman Funeral Home. Internment at Stone Seminary Cemetery.